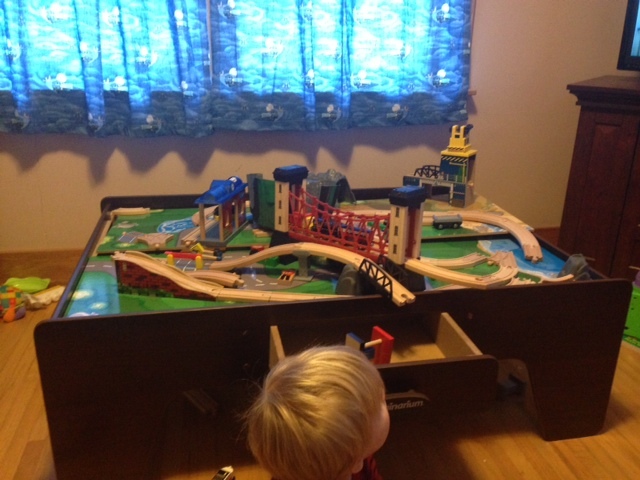 For Christmas, MJ got an amazing train table from his grandparents. Yesterday, CJ spent hours putting it together and the boys loved playing with it. This morning, the first thing MJ ran to was his playroom so he could play with his trains some more. Then he pulled a “Godzilla” and decided to really have some fun. Godzilla and his train village.